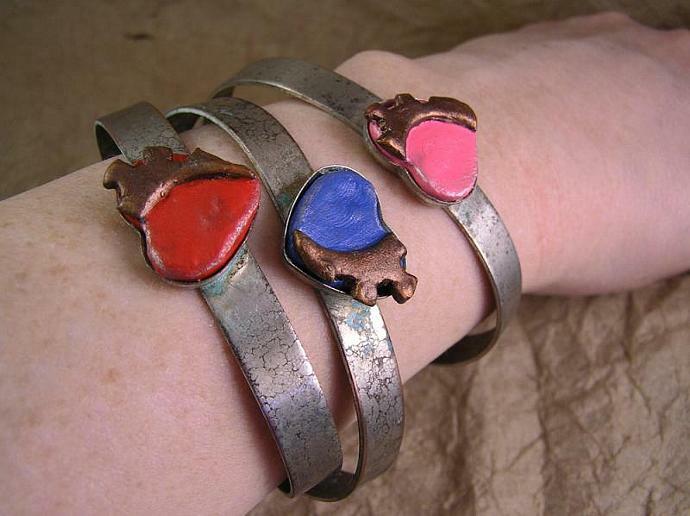 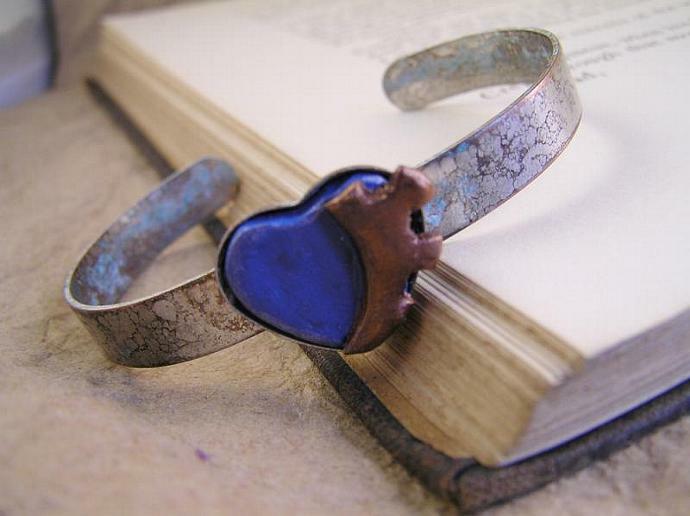 This pretty blue steamkpunk gear heart is nestled in a hand aged nickle silver cuff bracelet with hints of aged silver and verdigris copper. 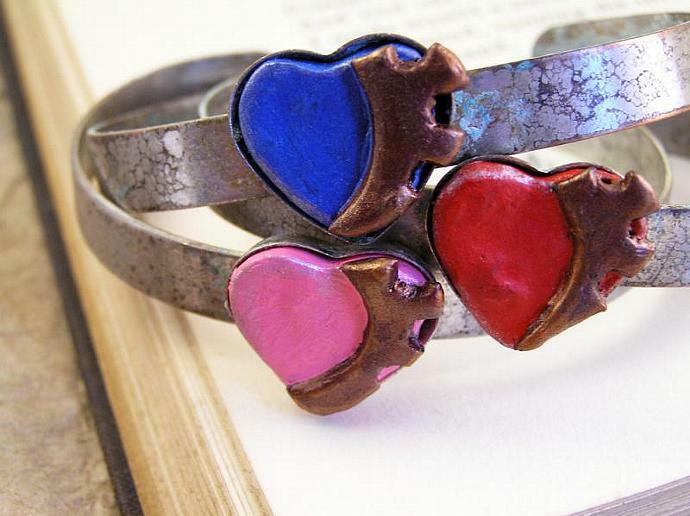 Gear hearts are handmade of polymer clay, oven cured, and then hand painted with copper metallic paint as well as the blue base color. 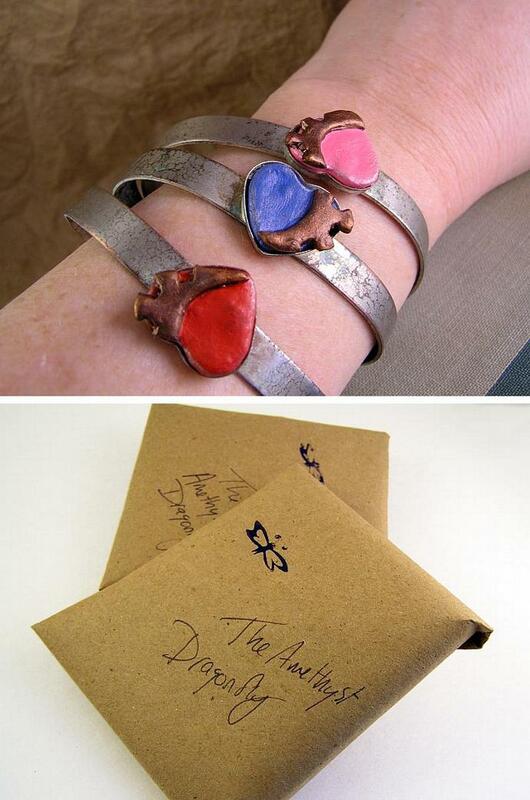 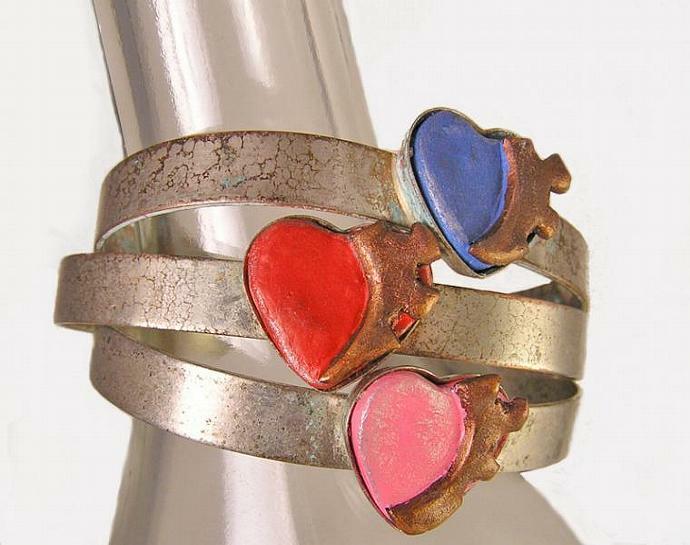 The hearts are then sealed with an acrylic medium for durability, then glued into the bezel frames. 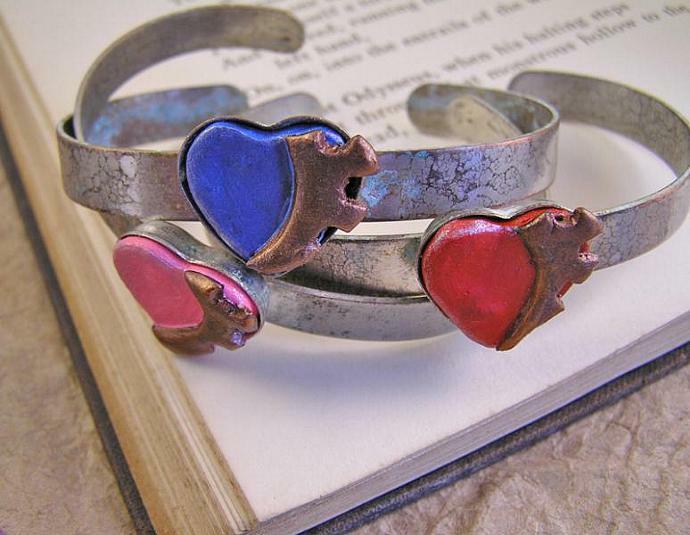 The cuff bracelets were hand aged with my special homemade aging formula, to give each cuff bracelet a unique look! 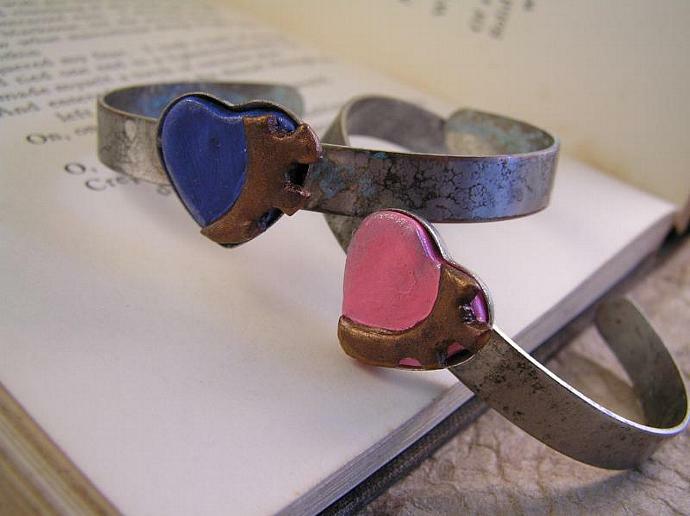 Heart is approximately 20mm wide x 15mm long.